Learning new things is a big part in life that may be sound hard to deal with. I think learning new things with fun is more exciting than forcing to learn. I shopped around for my daughter so she learn how to play the oboe. As you know we live in a country music and playing a musical instrument will help my daughter to boost her confidence and improve her reading and listening skills. I bought a plastic oboe for her as a starter and she loves it. I see the excitement in her eyes while I handed the instrument to her.Hubby told me let her enjoy and go from then. As a parent I want her to be more flexible and enjoy the musical instruments than watching TV. good luck on the daughter. she'll surely enjoy this classic musical piece. Oboe, that obscure wind instrument that produces such beautiful tunes. Your daughter will have a great time playing this oboe. I am not familiar with oboe but it sounds like a very good music instrument fr your daughter! 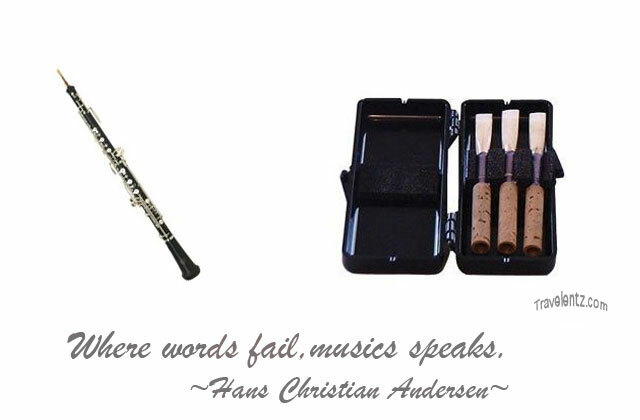 "where words fail, music speaks"---so love that! and yes, learning how to play musical instrument is better than watching TV, first, it trains their mind to think how to put those notes into music, then, hearing the music they play calms them down, and music they say is such a great motivator for the mind to think deeply. Yep, me too! I would rather have my daughter practice to play the piano than watch tv. Oboe is an interesting instrument. There's a post in my blog where I shared about my interest for music and musical instruments. Unfortunately, I am no good at playing the instruments like the oboe.